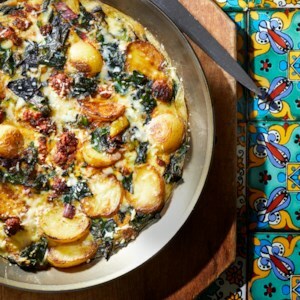 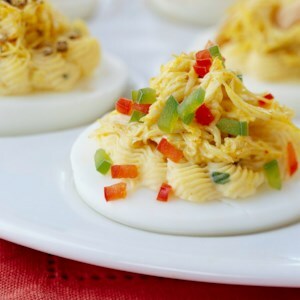 Find healthy, delicious breakfast and brunch entertaining recipes, from the food and nutrition experts at EatingWell. 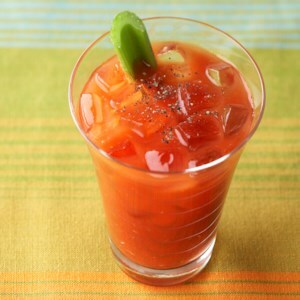 Don't toss those stems! 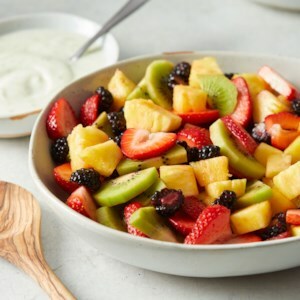 Rainbow chard is sold in bunches with a mix of yellow, pink, and pale green stems that add a pop of color, a bit of crunch, and an extra dose of fiber. 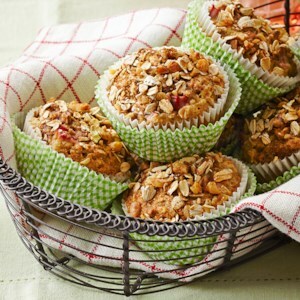 Mini muffins are perfect for grab-and-go snacking. 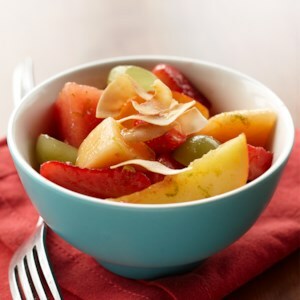 Try this recipe with fruity peaches and cream cheese chunks--they bake up in just 35 minutes and are perfect for sharing with family, friends, and coworkers! 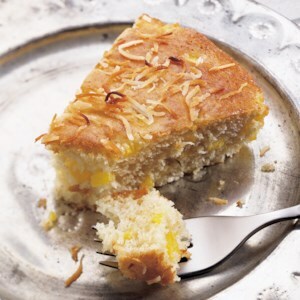 Mango and coconut give this low-calorie coffee cake island flair. 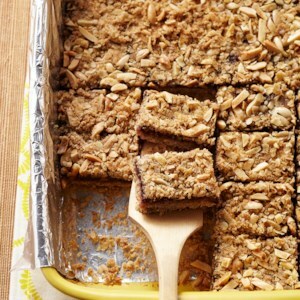 Yogurt and just a small amount of oil keep the cake moist yet low in fat. 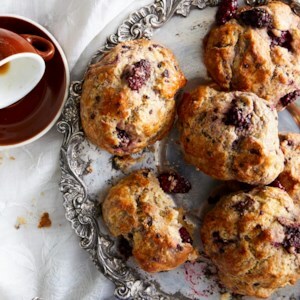 With all the supersize muffins out there, portion control can be a challenge. 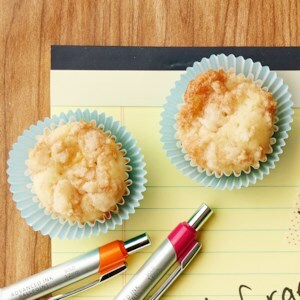 These let you enjoy the flavors of a blueberry muffin, and easily keep track of what you eat. 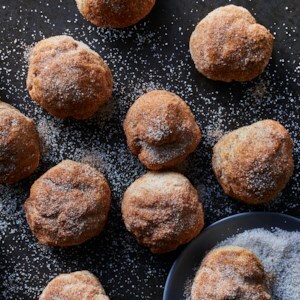 These homemade sausage balls are a healthy riff on the original--we add riced cauliflower for moisture and a veggie boost, whole-wheat flour stands in for prepared biscuit mix, and sharp Cheddar adds flavor. 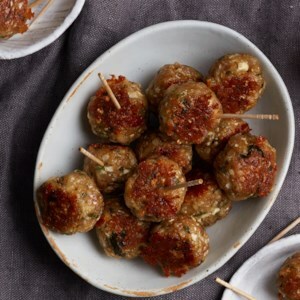 Serve these sausage balls for brunch, as an appetizer, or mix them with your favorite marinara for dinner. 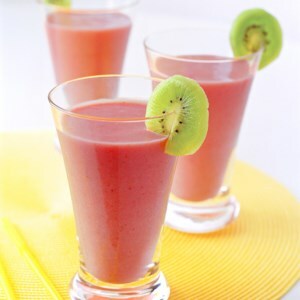 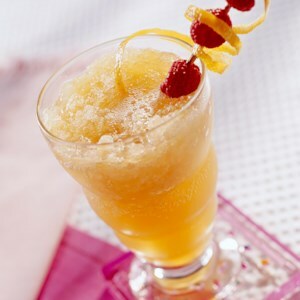 This fresh and fruity drink recipe is a good alternative to high-calorie fruit drinks or sodas. 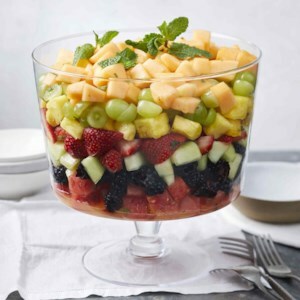 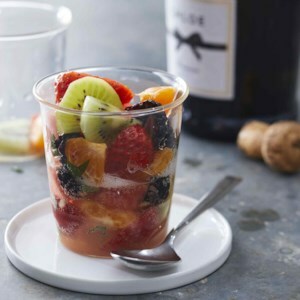 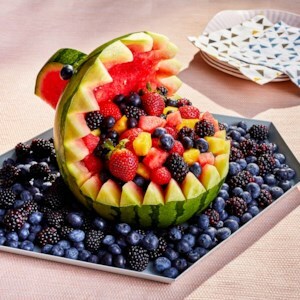 This refreshing fruit salad is a classic combination that will be the favorite at any potluck or cookout. 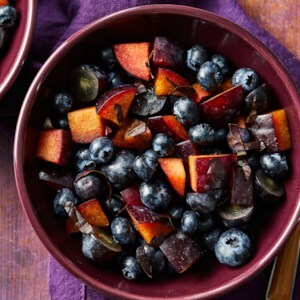 Serve with a creamy yogurt dressing to take this side (or dessert) to the next level. 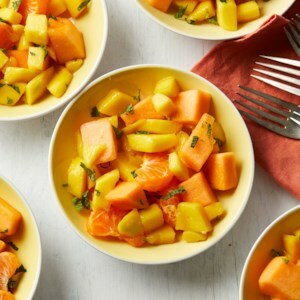 Serve this refreshing fruit salad featuring juicy melon, clementines and mango on its own or with other colorblock fruit salads (like red, purple and green) for a fun, crowd-pleasing rainbow side dish. 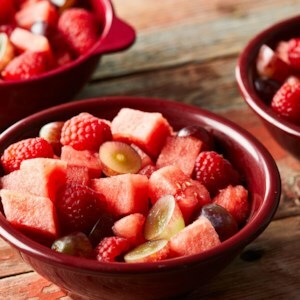 Serve this refreshing fruit salad featuring juicy plums, grapes and berries on its own or with other colorblock fruit salads (like red, green and orange) for a fun, crowd-pleasing rainbow side dish.